Andrew Rothschild (above on left) graduated in 2010 from the MFA program at the USC School of Cinematic Arts’ John Wells Division for Writing for Screen & Television. After doing his undergraduate studies at Sarah Lawrence in New York, Rothschild spent a few years doing various types of work in theater. Although he was mostly directing, Rothschild always knew that deep down his true passion was writing. He had been collecting journals of his writing since he was eight years old, and found himself more and more drawn to film the more he worked in theater production. Rothschild experienced the same existential angst that many go through in their early twenties, and eventually came to understand that if he perused too many things without a more direct and in-depth commitment, “it would be the same as perusing nothing.” With that in mind, at the age of 25, Rothschild looked at his most fundamental talents and made a decision to go to graduate school. “I realized that if I wanted to work in movies, I should work in movies, so I hit the re-set button,” Rothschild recalls. Rothschild left his childhood home in Huston, Texas for Sarah Lawrence because he wanted a cultural change, and when it came to choosing a graduate program Rothschild wanted an experience completely different from his undergraduate years. Rothschild knew he wanted to be at a large university on the west-coast, and as he puts it, “You never have to explain yourself for going to USC. Once I got in, it was not a difficult choice to make.” Rothschild stepped into his time at the School of Cinematic Art with the kind of perspective that only comes from experience. He had been in the “real world” for the few years prior, and was acutely aware of how difficult things could be without the proper direction and guidance. “I knew my time in grad school was brief, and that it all mattered. I went into it knowing how high the stakes were, and I definitely had this internal feeling of ‘all-hands-on-deck.’ I wanted to get everything I could out of the experience,” Rothschild explains. Rothschild has had a very fortuitous career since graduating from USC, and as he jokingly puts it, “I have successfully avoided having an actual job.” Of course, what Rothschild means, and what every artist aspires to achieve, is a state of success where supplementing your income with work other than your craft is unnecessary. Rothschild sold the script he wrote for his senior thesis, Sequoia, and the feature premiered at SXSW in 2014 and was distributed by The Orchard. His short film Identity Theft won Best Narrative Short at the Newport Beach Film Festival, and his short film Willowbrook screened at the Tribeca Film Festival. Rothschild’s other work include a digital series for New Form Digital and SoulPack, and feature scripts for Circle of Confusion, Gotham Group, and Weimaraner Republic. 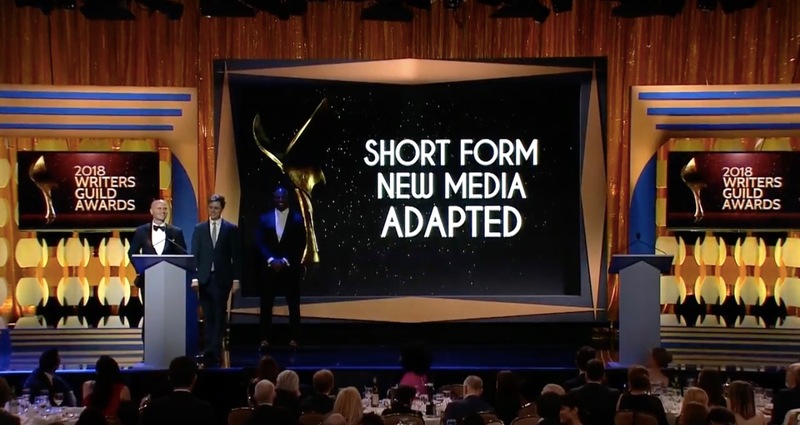 Furthermore, Rothschild won the 2018 Writers Guild Award for Adapted Short Form New Media for his work on Zac&Mia for AwesomenessTV. 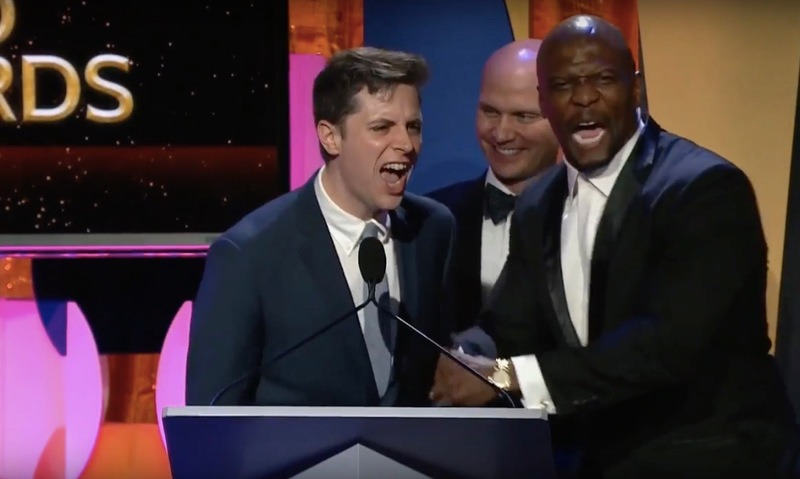 The Writers Guild Awards honor outstanding writing in film, television, and new media, and this distinction is the first of many we can expect from Rothschild. Going forward, Rothschild sees the trajectory of his career becoming increasingly more immersed in feature film writing. Rothschild’s screenplay, Hughes, was featured on the 2017 annual Black List, and he is currently shopping other projects with major studios. For Rothschild, screenplay writing comes down to relationships and the realities of what it means to be human; being able to write a story in 120 pages and have it stand alone is incredibly valuable. As he elaborates, “There is so much value in the tangible nature of a screenplay. You can sit down and write on your own, and even if nothing ever comes of the script it has value. It exists as literary property.” As with all things, Rothschild has learned many lessons through trial and error as he’s progressed down his artistic path. He can now say that he does not regret anything he writes, and that comes from having made mistakes. “I regret assignments I took just for the money. Now, if I am not excited for something, I do not write it, regardless of the money or studio,” Rothschild clarifies.